Smaller engine, bigger capability and personality. 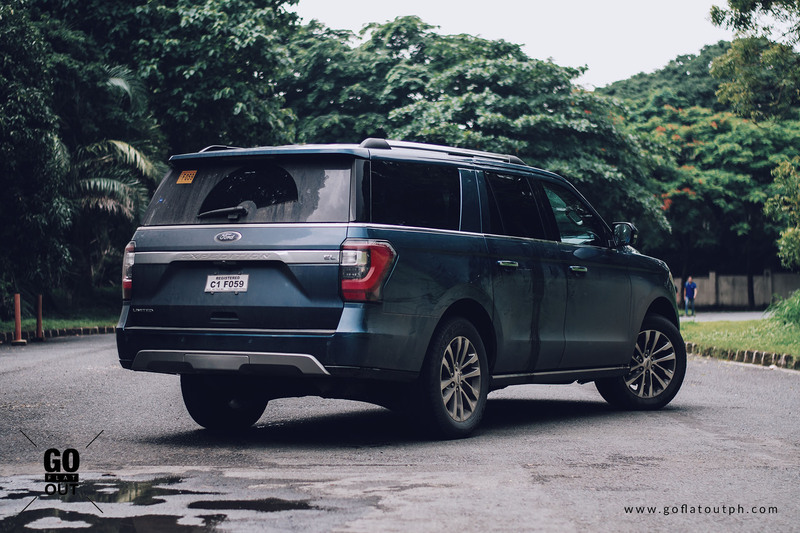 Before the Toyota Land Cruisers and Mitsubishi Pajeros became the mobility of choice of some of the Philippines’ most influential personalities, there was the Ford Expedition. Big, brash, and bold, the Expedition’s glory days were during the 1990s, where it topped the sales charts, as well as the hearts of politicians and celebrities. Actually, the Expedition was not Ford’s flagship model. We had the Excursion, which was about as big as SM Mall Of Asia, but the monstrous SUV went into obscurity when the 1997 Asian Financial Crisis hit the local economy. Since then, Ford has sold a version of the Expedition that sat in a happy middle ground between the standard length Expedition, and the Excursion, and it was this, the Expedition EL. This 2018 Ford Expedition EL was a decade coming and worth the wait. While a gasoline-powered large SUV makes little sense in a post-Asian Financial Crisis economy, it’s 2018, and one of the nation’s greatest economic setbacks is now history. Business is flourishing, and more people are trying to make a bigger statement on the road, and that starts with the way it looks. Apart from how big this thing is, even from a distance, the Ford Expedition hits all the right notes. The front grille and headlight combination neatly integrate with each other, making it as if the grille and headlights seem a single design piece. With a mainly horizontal layout, the Expedition EL’s design emphasizes its width, which stands at a little over two meters wide. The beltline has been made higher, giving it a somewhat sleeker profile despite the boxy proportions, while the retractable running boards provide the expedition a clean, uncluttered look. At the back, the Expedition nameplate is engraved on a chrome trim piece running the entire width of the vehicle, which are also then integrated into the design of the tail lights. Overall, the Expedition has finally caught up in terms of style compared to its chief rival, the Chevrolet Suburban. 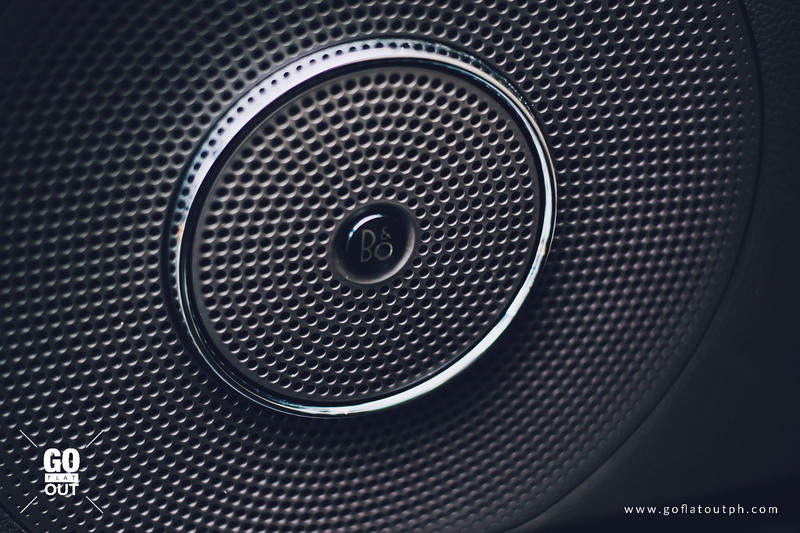 The interior also receives top marks in terms of quality and design. It looks more modern, filled with all the technology and luxury one would ever need. 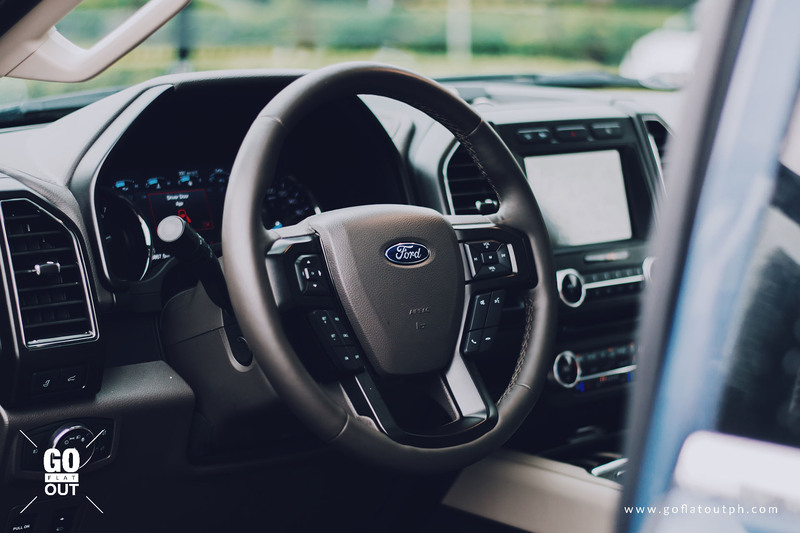 There’s plenty of high quality soft touch materials, chrome, and leather surfaces that truly uplift the Expedition’s cabin experience. As expected of its gargantuan exterior dimensions, the interior is a similar story as well. The Expedition is so wide, four Filipinos could fit in the middle rows of seats, though at a pinch, and it’s likewise the situation at the third row, too. For an added P100,000, the Expedition can be had with second row captains chairs for an added touch of luxury, but this brings the official seat count down to seven. 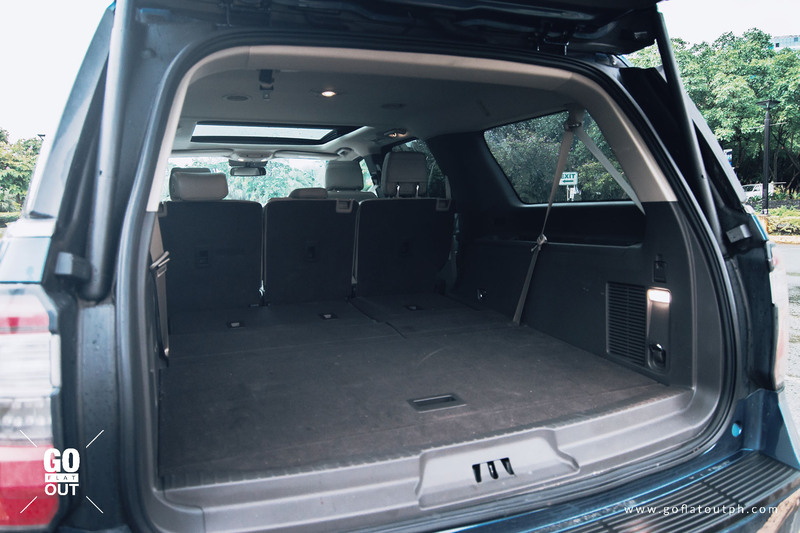 Pop the (powered) tailgate open, and you are provided with a significant amount of cargo space behind the adult-friendly third-row seats, with 1019 liters of space. For perspective, this is what most small SUVs like the Honda HR-V are able to provide with its second row of seats folded down. 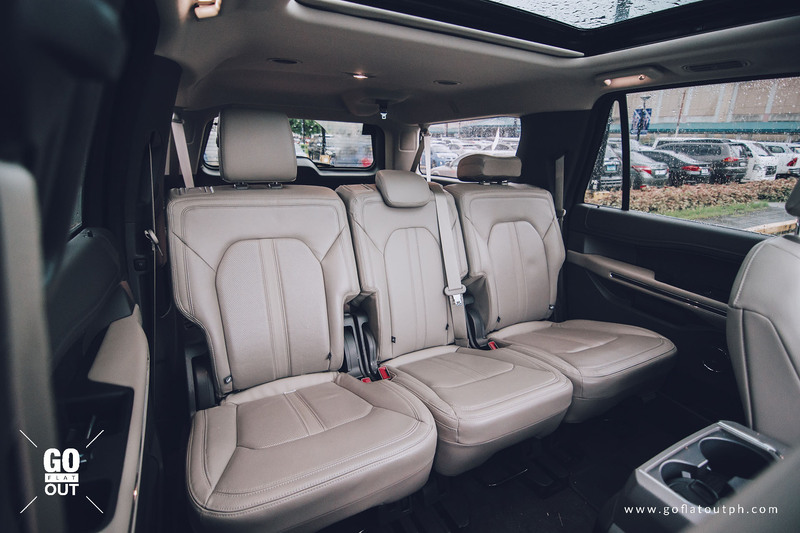 If you fold the Expedition’s third rows of seats, which are done electronically (both fold and unfold), you are provided with a whopping 2076 liters of open space, which is almost what the Ford Everest provides with its second row seats folded down. Lastly, if you fold down the Expedition’s second row seats, you are provided with a gargantuan 3440 liters of space, which makes the Expedition exceptionally voluminous for cargo hauling. 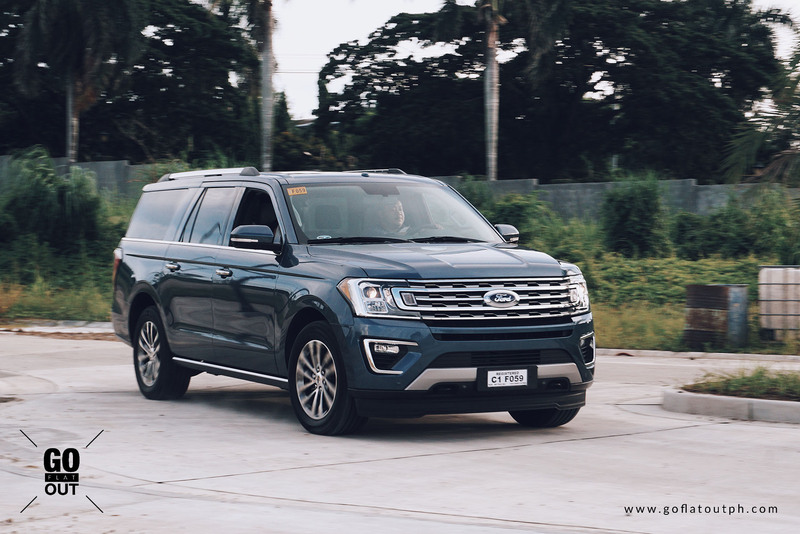 With up to 834.61 kg of payload limit and 4218.41 kg of towing capacity, the Expedition is more than enough for anyone who needs to tow their trailer or speedboats, assuming this is a thing that Filipino consumers do. As expected from a large SUV in this class, the Expedition is filled with luxury and creature comforts, that range from a gigantic panoramic sunroof, a user-friendly and snappy SYNC3 infotainment system with Apple CarPlay and Android Auto, a 12-speaker, 1,100-watt Bang & Olufsen sound system which sounds glorious, heated and cooled electronically adjustable front seats, a plethora of USB ports and cupholders to keep everyone on board happy, and, get this, a 230 V/150 W outlet at the back which you could plug your microwave in. Okay, so I wouldn’t recommend you doing that, but what this means is, if you ever find the need to charge your laptop while on the move, you are given the option to do it. 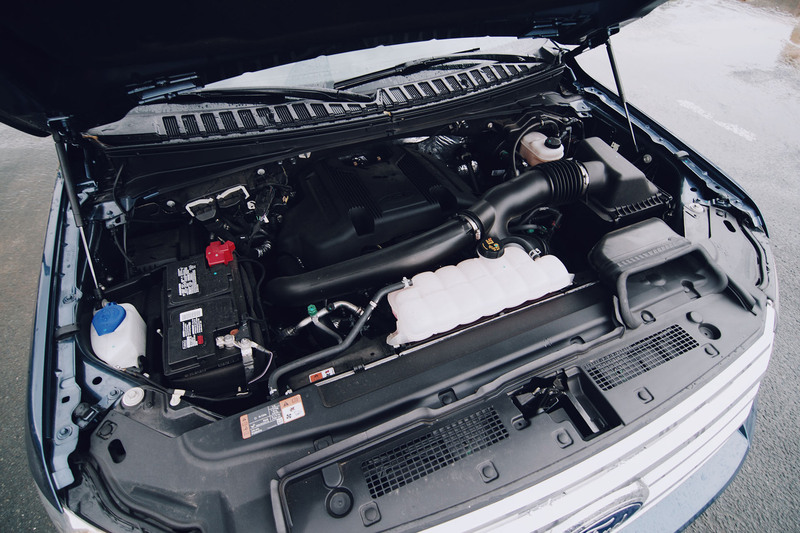 Powering the 2018 Ford Expedition EL is a 3.5-liter turbocharged EcoBoost V6 engine which produces 375 hp @ 5,000 rpm and 637 Nm of torque @ 3,500 rpm, sent through a 10-speed automatic transmission developed in collaboration with General Motors. Power goes through all four wheels via an electronically-selectable 4WD system. In terms of the driving experience, the 2018 Ford Expedition EL earns a big thumbs up for me overall, thanks to a few actors. Riding on the classic ladder frame/body-on-frame construction, the Ford Expedition feels surprisingly like an Explorer with its unibody construction. 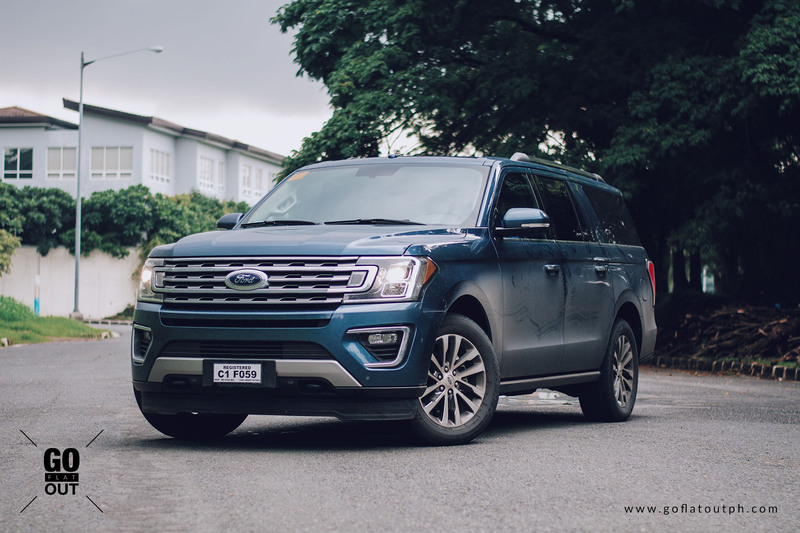 Yes, the Ford Expedition EL may be the last vehicle in anyone’s mind when they think of bringing it into a winding road, but thanks to a fully independent suspension and decently accurate steering, the Expedition EL manages to drive much smaller than it is. Sure it’s hard to manoeuvre its girth, especially around town, but it’s something that you get used. Just a day with the Expedition and it’s all good from there. The 3.5-liter turbocharged EcoBoost V6 engine mated to this 10-speed automatic motivates this beast well. Its gearbox has a number of short ratios, giving it a spritely driving experience when overtaking on a highway or just shaming racerboy wannabes challenging you in an impromptu drag race. This almost three-ton beast is able to sprint from 0-100 kph in under seven seconds, faster than both a Toyota 86 and Mazda MX-5. Just let that sink in for a moment. Eating up highway miles is what this Expedition is truly built for. Due to its sheer size and mass, the Expedition EL is not fazed by crosswinds or oncoming trucks and buses. The suspension deals with bumps smoothly, though I think the Toyota Land Cruiser 200 still deals with bumps better. Often, due to its very stable and refined driving experience, 100 kph felt more like 50. The interior stays refined and quiet, though once you put the pedal to the metal, the turbocharged V6 engine rumbles as you go along, which sounds so monstrous and fits perfectly with the demeanour of this SUV. As expected, fuel economy isn’t the strength of this beast of an SUV. As tested, the best I could achieve was about 7-8 km/l and the worst I did was about 3.9 km/l. It’s very thirsty, indeed, but let’s be honest, if you’re buying into any of these things, fuel economy is probably the least of your worries. With this much mass to haul around, there should really be an option for a diesel. As for other negatives, I’m surprised that being a flagship of the Ford line-up, this is not equipped with Adaptive Cruise Control, Automatic Emergency Braking, LED headlights with LED daytime running lights, to name a few. 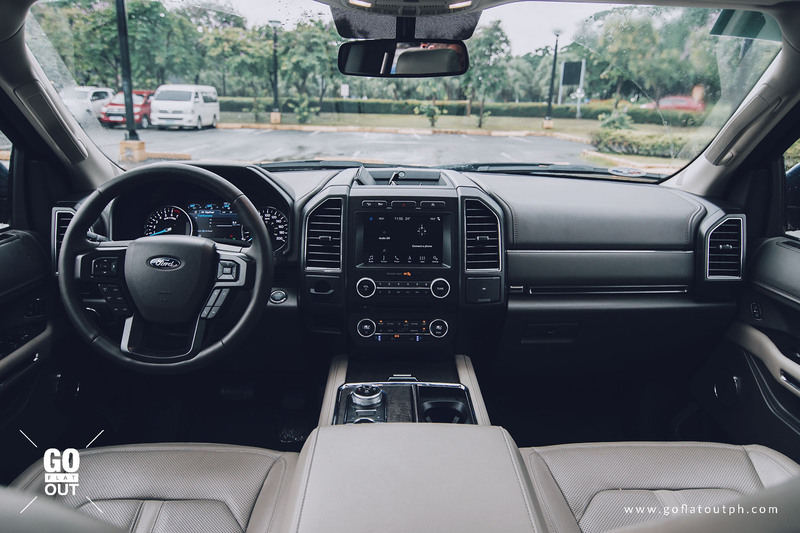 While it’s equipped with all the airbags you expect, as well as Blind Sport Warning with Rear Cross Traffic Alert, I’m surprised that a safety and convenience feature you can have in a Ford Everest, let alone the Explorer, is not available in the Expedition. Overall, the new Expedition is a step into the right direction. 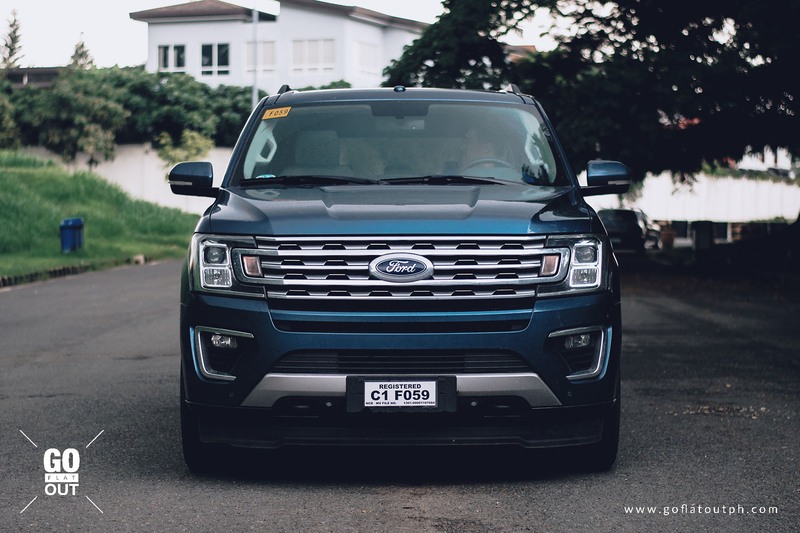 It has all the right ingredients to continue a long lineage of SUVs that have always made a big statement on Manila’s roads. The new Expedition is as big as my heart can get. It’s an absolute monster, eating the highway miles as fast as it empties it’s tank. It’s very comfortable, plush, and the interior is well rounded and everything you need is within reach. The only thing I wish this car had was more time with me. Even though it’s expensive to run, it surely won me over.